Why would you want to send as another email? So you have a gmail address (ie. jweinmaster@gmail.com) and now you’ve bought a swanky new domain joeliscool.com (naturally). 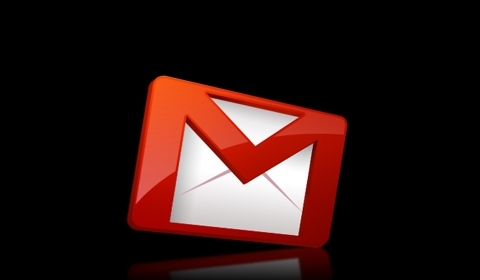 So now you want to continue using your gmail, while using your new email address joel@joeliscool.com. 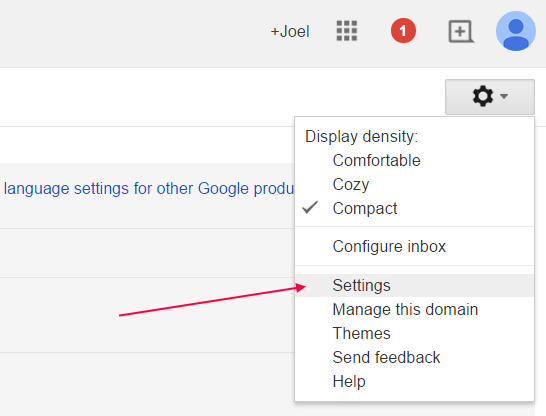 The first and easy part is getting your email management program to forward joel@joeliscool.com, but now when you send from your gmail it reads sends as jweinmaster@gmail.com, not very slick. 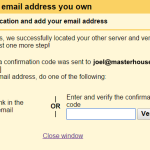 Use the below tutorial to send emails FROM joel@joeliscool.com. 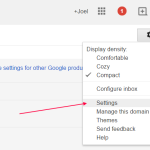 First you will have to set up a forwarding address to your gmail. This may have to be set up by your system administrator. (Ie. 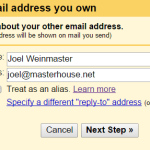 Forward joel@masterhouse.net to jweinmaster@gmail.com) Once that is done, now you’re ready configure your Gmail. (ie. joel@masterhouse.net). You can leave “Treat as an alias” checked. 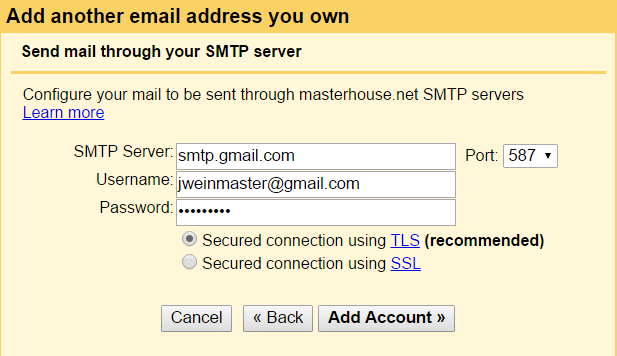 Enter in smtp.gmail.com, your username and password as shown below. Note: Your username is your full Gmail address (ie. joel@gmail.com). 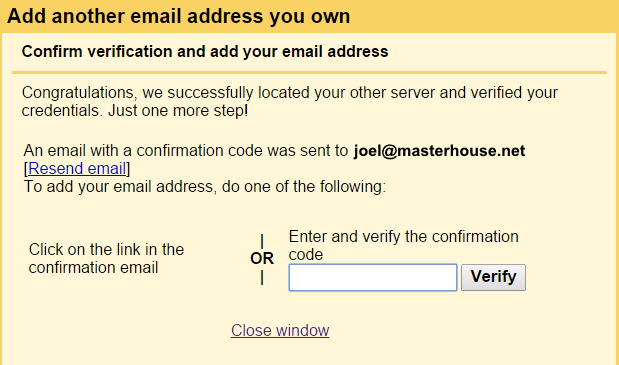 Click the provided link OR copy the verification code and input into the interface as shown below. You can also select this email as your default from the Accounts tab if you like (see above) or you can select it from the drop down that you will see now when you Compose a message. Go click “Compose” now and see if it worked. Joel is an entrepreneur and digital strategist that started his first internet business out of his parent’s basement. The website was the first nightlife community that quickly caught fire as one of the first social media networks in North America. The brand, Clubvibes.com, had huge success after launching their social community in 2001; two full years before the launch of Facebook that had similar features. Their unique platform coupled nightclubs and online dating, and quickly expanded to 12 major cities in North America until being acquired in 2012. Joel currently is the lead strategist and President of Masterhouse Media, an innovative digital consulting firm based in Vancouver, BC. I read this article and found it very interesting, thought it might be something for you. 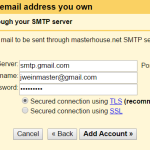 The article is called How to SEND AS another Email Address in Gmailand is located athttp://masterhouse.net/software/how-to-send-as-another-email-address-in-gmail/.